Over the last few days, and for the next few, we in Ireland are experiencing weather we’re not used to and we’re not prepared for. The temptation is to close the door, light the fire, switch on the TV and hibernate. It’s both instinctive and understandable. 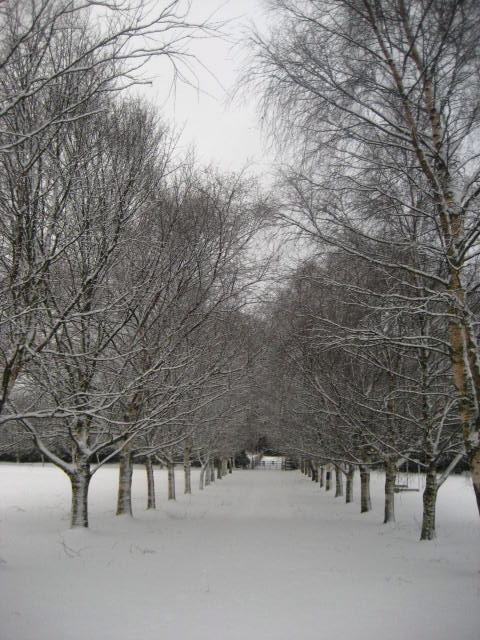 For students facing the Leaving Cert, the snow days can also be a source of worry – in our school, we’re missing exams, which means that the return to class has been pushed back by nearly a week. And with the latest weather predictions, there may be more uncertainty about the date of our return. That means there will be some amount of playing catch-up to cover courses and the possibility of all sorts of pile-ups further along in the year. But I’ve been feeling great about the snow days. I’ve done some massive decluttering in terms of paper-work in the black hole that is the cupboard in my classroom. I’ve also caught up on my correcting (no, sorry Form 6, not your papers – not yet anyway! ), but I’ve managed to do it during working hours. creating mind-maps for vocabulary families. Regard these days as a gift of time and use them to get ahead so that when we return to routine, you’re not looking back regretfully and wishing you’d done some more work. Finally, keep an eye on the blog and the facebook page because if I get the chance, I’ll post a few links to give you a chance to do a bit of Spanish! Previous Previous post: ¿Me estás tomando el pelo?